EghtesadOnline: The US has been unable to persuade China to cut Iranian oil imports, according to two officials familiar with the negotiations, dealing a blow to US President Donald Trump’s efforts to isolate Iran after his withdrawal from the 2015 nuclear accord. Beijing has, however, agreed not to ramp up purchases of Iranian crude, according to the officials, who asked not to be identified because discussions with China and other countries are continuing, Bloomberg reported. Teams of US officials have been visiting capitals around the world to try to choke off sales of Iranian oil by early November, when US sanctions are due to snap back into effect. While the Trump administration has said it wants to cut Iranian oil exports to zero by Nov. 4, most analysts viewed that target as unlikely, Financial Tribune reported. China’s ministries of foreign affairs and commerce did not immediately reply on Friday to faxed requests for comment. The Trump administration argued that the nuclear deal, which lifted some economic sanctions in exchange for restrictions on Tehran’s nuclear program, was flawed because it did not address the country’s destabilizing behavior or limit its development of ballistic missiles, among other things. The other partners in the agreement, including the UK, France, Germany and Russia, criticized the US move to quit the deal. Unfazed, the administration has warned that even allies would face sanctions if they did not show “significant” progress in reducing Iranian oil purchases by Nov. 4, ruling out broad exemptions or waivers. 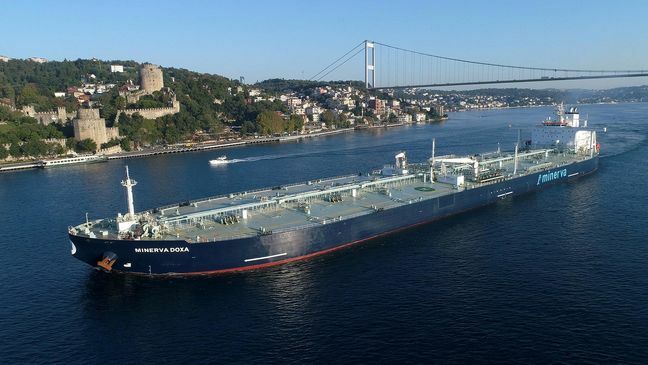 The oil market has been speculating about how much of Iran’s exports could be eroded by the US sanctions, with analysts from BMI Research to Mizuho Securities predicting that China might boost its imports of cheap supplies from the state and offset cuts by other nations. Countries, including South Korea and Japan, are reducing purchases from OPEC’s third-largest producer before the deadline to avoid the risk of buyers losing access to the US financial system. China—the world’s top crude buyer and Iran’s No. 1 customer—has said previously that it opposed unilateral sanctions and lifted monthly oil imports from the country by 26% in July. It accounted for 35% the Iranian exports last month, according to ship-tracking data compiled by Bloomberg. Why Is Europe Underplaying Its Hand on Iran?